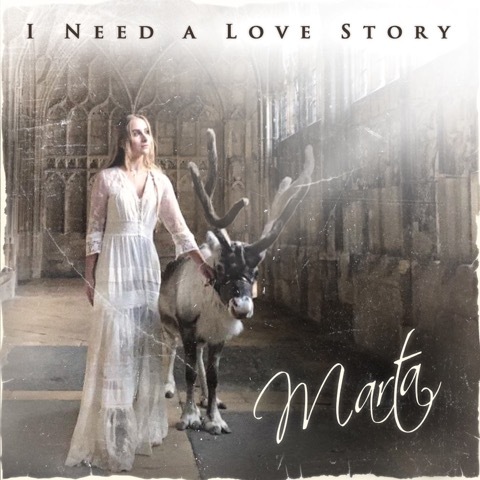 COUNTRY NEWCOMER, MARTA, RELEASES HIGHLY-ANTICIPATED MUSIC VIDEO FOR "I NEED A LOVE STORY"
“Marta creates a visually stunning clip using evocative mood lighting that perfectly underscores the gentle lilt of the song,” - Sterling Whitaker, Taste of Country. The video was filmed at the stunning Gloucester Cathedral, most famously known as the setting for Hogwarts Castle in the Harry Potter film series. “I am really excited to release the music video for ‘I Need a Love Story',” said Marta. "I hope this song and video inspires people to find the strength to keep believing in love, even when they’re crying on the bathroom floor and have lost faith in it”. Marta’s debut album, The Story, was released last Friday and features nine original and diverse songs that perfectly capture Marta’s tale. Her album can be heard here. The video is a follow-up to her smash video "All About Us," which was featured on the apps 'Dancing Line' and 'Piano Tiles 2' reaching over a billion users and garnering nearly 2 million views on YouTube. Keep up with Marta on Instagram, Twitter and Facebook and visit her website at www.martaofficial.com. Hailing from Gdansk, Poland, Marta is a fast-rising international sensation and fashion guru who has made a major splash in the music industry with her unique sound and vibrant video content. Her debut single "All About Us" has received over 1.7 million views on YouTube and was featured in the critically-acclaimed mobile games Dancing Line and Piano Tiles 2, gaining more than one billions downloads by users on Apple’s App Store and Google Play. “All About Us” hit #1 on the Google Store country charts in Germany and #4 in Norway. The follow-up single “I Need A Love Story” was released on Valentine’s Day and was also featured on the mobile apps. Marta recorded her first album at Blackbird Studios in Nashville with the guidance of producer Bryan Clark, who worked with Kelsea Ballerini. Starting her songwriting career at the early age of 7, the young up-and-comer wrote or co-wrote all nine tracks on The Story.